This is one of the 7 Trappist breweries in the world. “Trappiste” is an appellation, which is legally defined. In order to have this appellation, the beer must be brewed under supervision of the monks and on the property of the monastery. 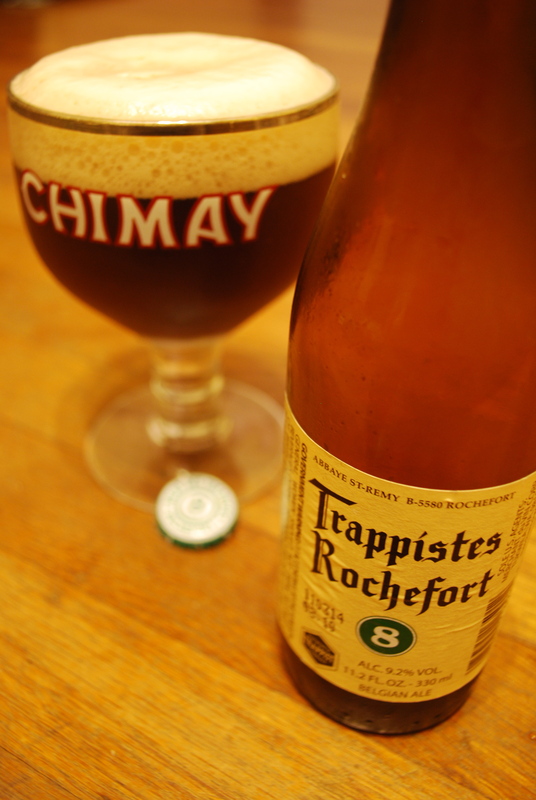 Trappist however, does not define a style but is just the legal name for these beers produced by monks. There are abbey beers, which are beers done in similar Belgian styles or named for a monastery, and many are very good, but legally cannot be called a Trappist beer. The classic Trappist styles consist of the 3 runnings of the mash. The monks, being prudent, achieved three different beers by running water through the mash-tun of a single mashing three times. 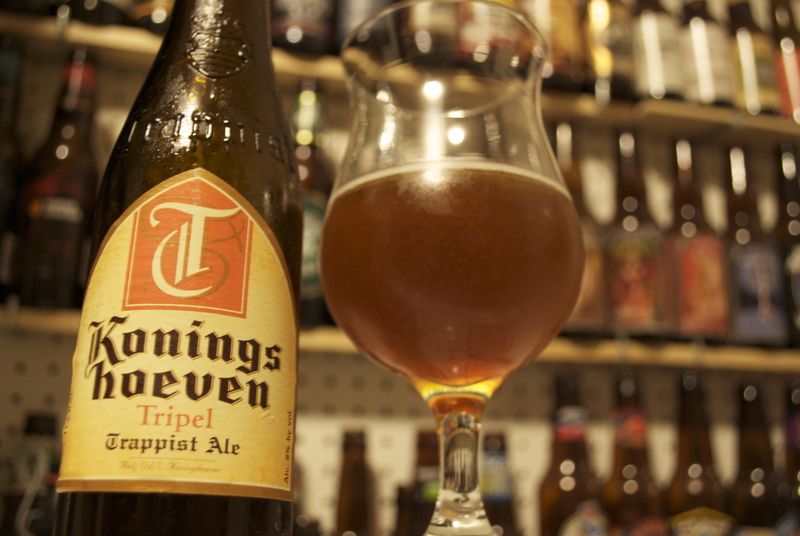 The first was the strongest, “Tripel” which was saved for special royal guests or occasions. The second, “Dubbel” the middle strength, and a weaker Singel, which is mainly brewed just for the monks themselves, and is not really available for retail. Additionally Trappist breweries and abbey beers now also offer “blondes” and Belgian Strong Dark/Pale ales. The number 8 (they also make a 6 and 10) refers to the original gravity, which is a way of measuring a beers potential alcohol by volume by measuring the amount of dissolved solids (ie. sugar) which eventually will be converted to alcohol by the yeast. Belgium has a very diverse beer scene, and a very rich history in brewing. If the beer is brewed right, you can taste that rich history. This Rochefort 8, a Belgian strong dark ale was so good, it brought me halfway there. Pours a rich mahogany with a dense and creamy mocha head that has remarkable retention. I chose to pour in the yeast sediment at the bottom of the bottle, which created a nutmeg-esque swirl in the center of the foam. Some sediment settled to the bottom, and fine bubbles consistently rose to add to the perpetually creamy head. From the pour, the alcohol and yeast immediately became present, and once in the glass, the initial notes of raisin and earthy dark fruits and some licorice became very noticeable. The malt delivers a strong sweetness, followed by yeasty earth tones of oak and vinous quality, followed up by sweet raisin and prune coming through as the focus. There is no hop presence in bittering, aroma or flavor, which is expected for the style. The residual sweetness from the candi sugar and full mouthfeel makes this beer an incredible dessert choice. The mouthfeel of this beer is amazing. The dense foam gives way to a pleasant and natural feeling carbonation that is deliciously creamy, and reminiscent of a root beer float. There is not much heat, which is surprising for a 9% abv beer which made this one go down pretty easy. My food recommendations are that you enjoy it with smoked or sweet BBQ, or after/before a meal with some sharp cheese that might contrast the beer’s sweetness. Or just have it for dessert. It is that rich and delicious!